Are you ready to get started on a long-postponed project? 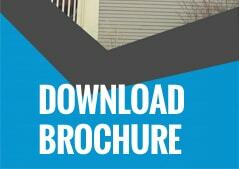 Do you want the advice of an experienced professional in window replacement and home siding? Best Windows, Inc. has been serving Chicago, IL area residents since 1998, and we’re proud to be your trusted local experts for home windows improvement projects. New windows can be a fantastic upgrade, both aesthetically and economically. New windows can eliminate drafty spots in your house and reduce HVAC costs and indoor condensation in all seasons. When installing new windows, it’s important to consider how light is affecting areas of your building. For instance, if art is displayed in a certain room of your house, it’s important to consider that UV rays from incoming light can damage sensitive materials like wood, fabric, and paper. On the other hand, an entryway, sunroom, or small greenhouse can benefit greatly from windows that let in as much light as possible. At Best Windows, Inc., we’ll happily help you choose the options that are best for you, from selecting the right glass to applying any additional window films. At Best Windows, Inc., we offer a range of Chicago IL home window styles for modern and time-proven solutions to meet the needs of your property, your budget, and the overall look of your home. Whether you’re looking for something simple or aiming to make a statement, we carry a variety of products from Kensington and Thermolock, and can most likely order any specialty items you need. 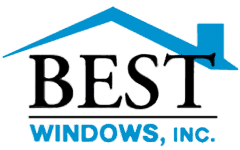 To learn more about the window renovation options available from Best Windows, Inc., take a look at some of our finished jobs, then contact us to set your vision in motion today. The top and bottom sashes both tilt in to allow cleaning from inside your home. The Kingston 300 series vinyl windows now come with foam filled frame and sashes with self repairing fiberglass memory, extruded aluminum framed screens and provide the strength, thermal performance (NFRC U rated .27) , beauty, and maintenance-free qualities that will make your home more comfortable and money saving energy efficient. The Huntington 501 Series are finely-crafted, vinyl replacement windows that can improve the beauty and energy efficiency of your home. Each individually-constructed window has special features that provide the ultimate in strength, durability, comfort, and trouble-free operation. Add a distinctive touch to your home’s exterior and an inside seat that is ideal for displaying family photographs and precious objects. Features equally sized windows joined together to create a stylish crescent. Adds another dimension to a kitchen, bathroom or any room. Display personal items or plants in this glass-enclosed curio. Enhance and update a homes’ exterior appearance! Casement windows crank out for easy cleaning from the inside and provide maximum ventilation. Create a wide viewing area in any room while maintaining the convenience of operable sashes for ventilation. Features a roller system with stainless steel axles for years of smooth, reliable operation. Sleek lines and sculptured beveled design frame and sash glide effortlessly on a stainless steel monorail track.